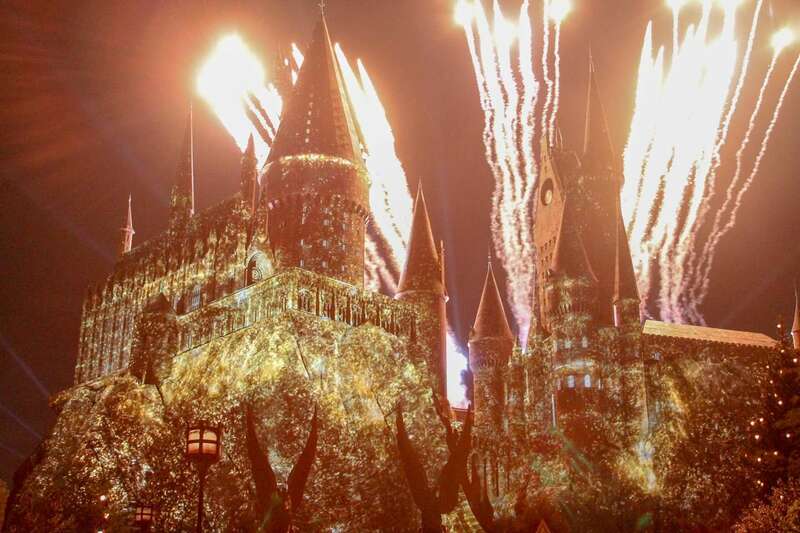 If you’re a Harry Potter Fan, you’ve likely dreamed of visiting the Wizarding World of Harry Potter at Universal Studios. 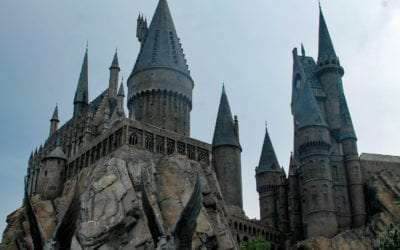 The Wizarding World of Harry Potter is just one of the lands located at Universal Studios Orlando, Hollywood, and Japan. Even if you’ve visited before, you may have missed a few of these on the list. 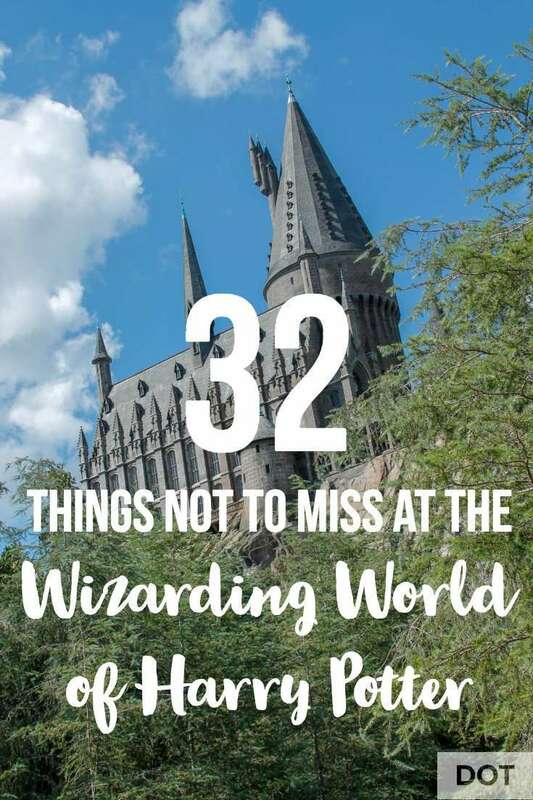 Here are our choices for the must visit, not to miss attractions, food, and shops at the Wizarding World of Harry Potter. Firstly, note that these recommendations are for Universal Studios Orlando. This theme park is actually two parks, Universal Orlando and Islands of Adventure. Each park has a Wizarding World. 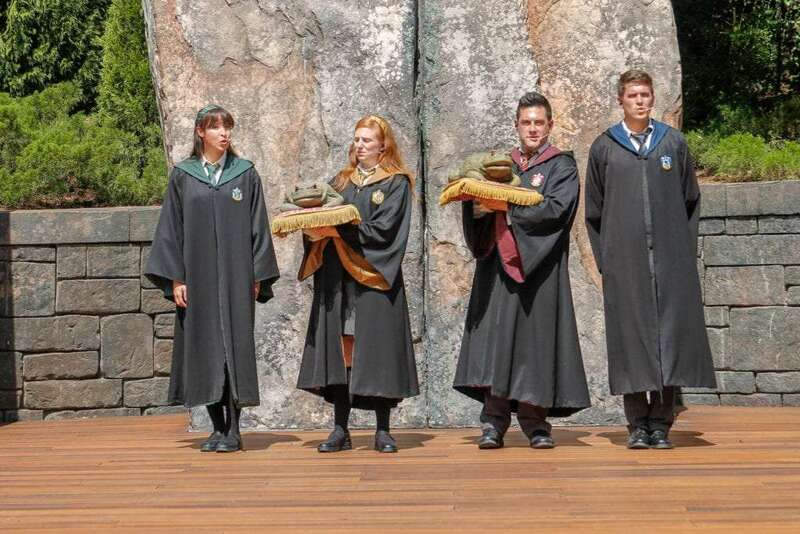 Diagon Alley is located at Islands of Adventure and Hogsmeade is at Universal Orlando. I highly recommend a park to park pass so you can enjoy the full effect of both worlds. This also is the only way you can ride the Hogwarts Express. Actually, this list begins outside of Diagon Alley. Before you enter the world you’ll see these sites. 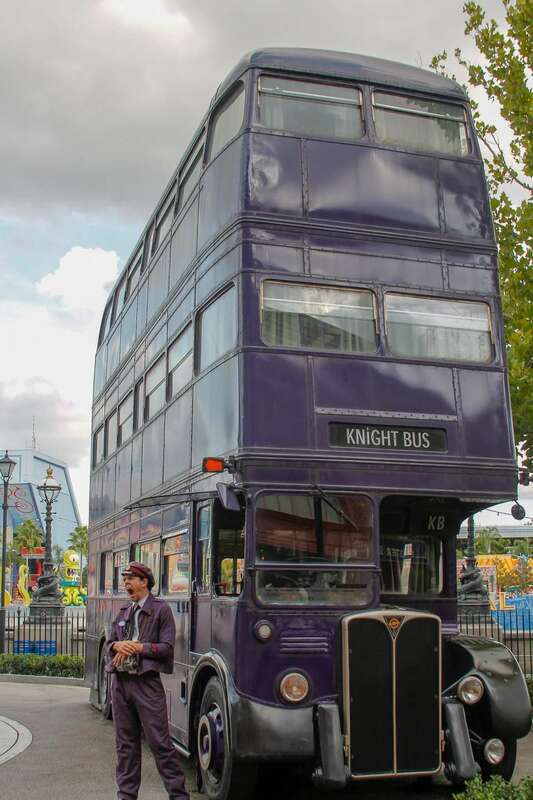 The Knight Bus – Take your picture with Stan. Number 12 Grimmauld Place – Be sure to look for Kreacher peeking out of a window! 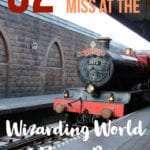 King’s Cross Station – But don’t go here just yet, visit after you’ve done Diagon Alley! Look for the witches cauldron sign just out front too. As you walk into Diagon Alley, pause at the entrance, you’ll hear the bricks moving to allow you in. Gringott’s – This is the big one, at the end of the alley. It’s an indoor thrill ride roller coaster and one of the best in my opinion. Head here early as lines do get long. If it’s your first time, do the full line and not the single rider as you’ll miss some of the attractions within the line. Skip having your photo taken if possible. We have sensitive eyes and saw spots the rest of the line. Windows – Not attractions per se, but you’ll want to hear the typewriter outside the daily prophet, Gilderoy’s book outside of Flourish and Botts, and more. Olivanders – While this is a wand shop, yes, it’s also an attraction. You can enter through a line and witness a young witch or wizard choose their wand with Mr. Olivander. Or rather, watch the wand choose them. 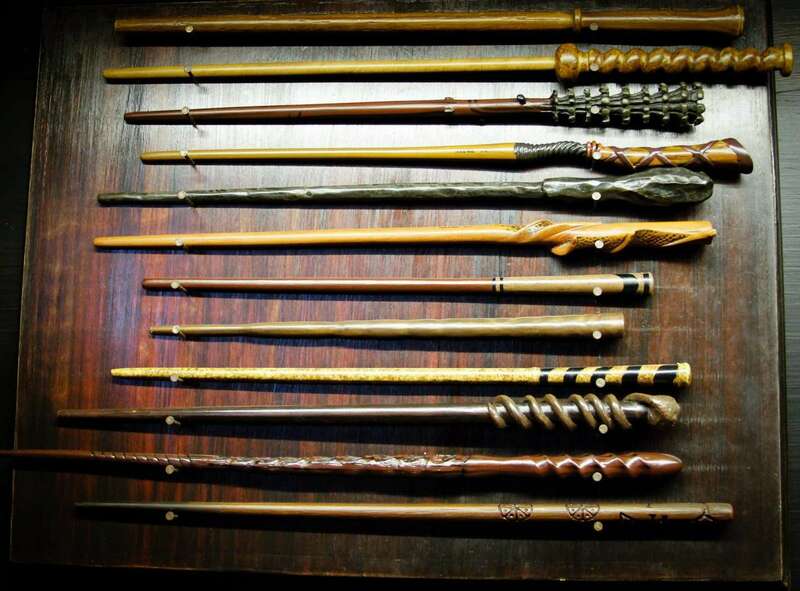 Read all about how the Interactive Wands work here. Knockturn Alley – I list this as an attraction because you have to want to go down this dark wizard alley. 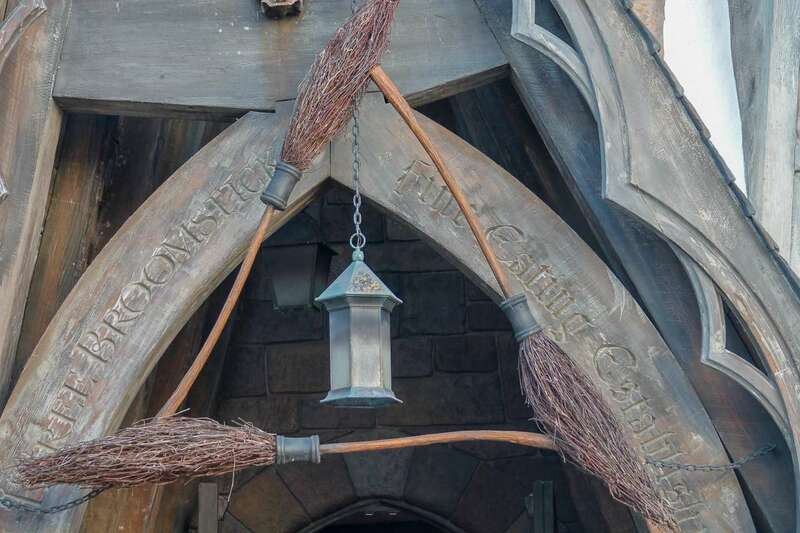 You’ll find two entrances, one near the Leaky Cauldron and one near the bathrooms towards the back of the world. It’s dark, but there are some cool interactive wand effects down here. Look for a witch or wizard to help you if you can’t get them to work. 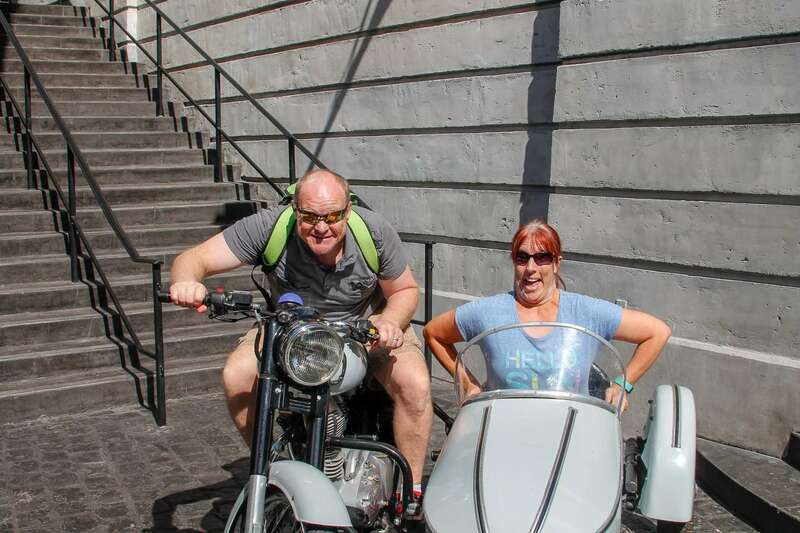 Hagrid’s Motorcycle and Sidecar – A fantastic photo op, just to the left of Gringott’s. 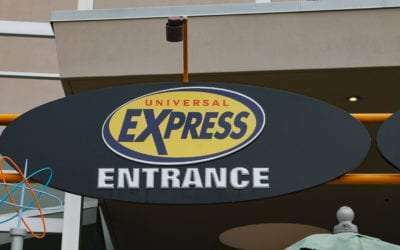 Related: Is the Universal Express Pass worth the Cost? Weasley’s Wizarding Wheezes – You can’t miss this one, it’s exactly as pictured in the movies. 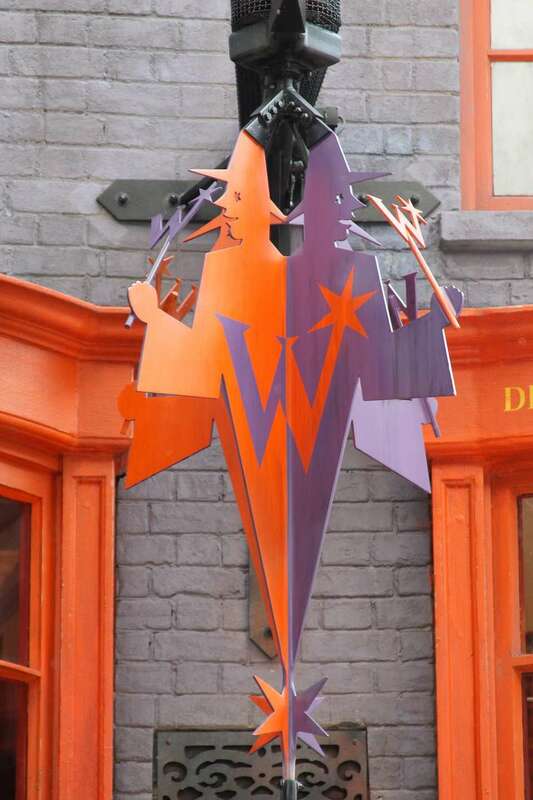 Quidditch shop – right next to Weasley’s, be sure to check out the floating wand outside. Madame Malkin’s Robe Shop – You can buy robes here, but note they are quite expensive and heavy for a Florida visit. However, be sure to stop in front of the mirror here for a compliment. Shutterbuttons – Get your very own Harry Potter style Moving Pictures. Read my full review here. 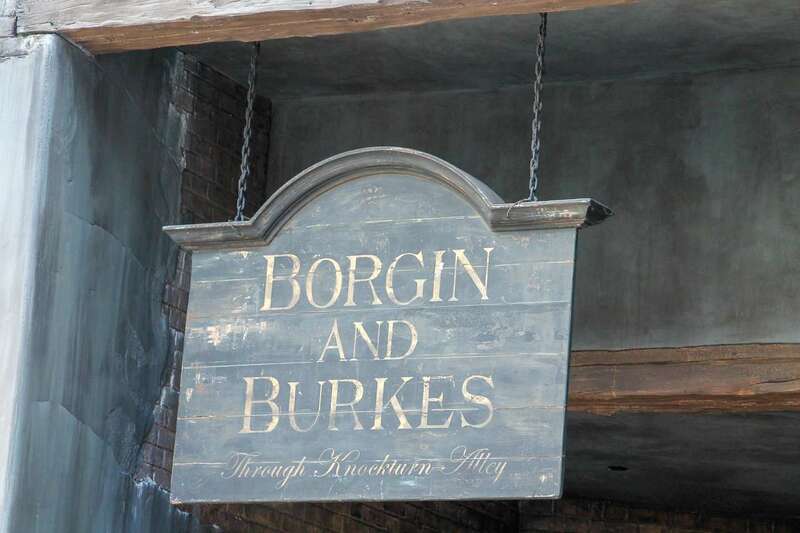 Borgin and Burkes – inside Knockturn Alley, you’ll find this dark magic shop filled with items you can only get here. Head to the back to see the Vanishing Cabinet and listen for what might be inside. The Leaky Cauldron – That’s in London. This is the only sit-down restaurant inside the Diagon Alley area of Wizarding World of Harry Potter. Enjoy traditional English foods here, both for breakfast or lunch and dinner. 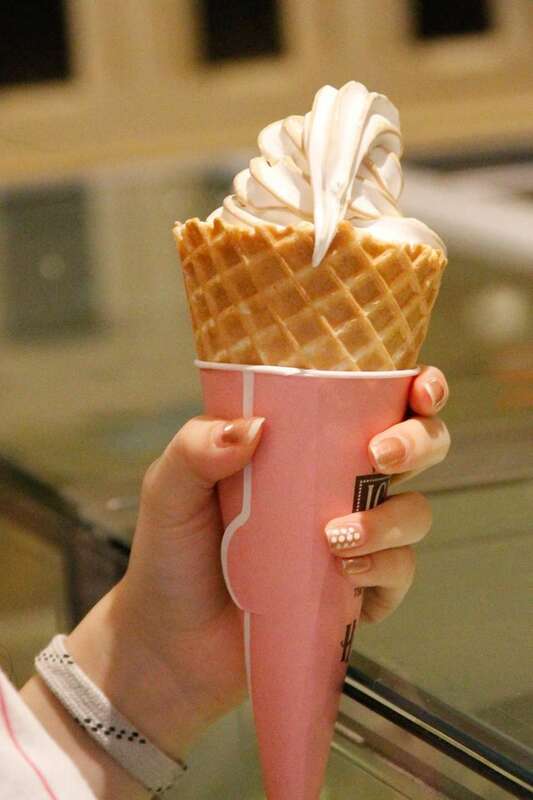 Florean Fortescue’s – Our favorite place for a mid-day treat. We like to get an ice cream and then head to the steps for people watching. You can enjoy Butterbeer Ice Cream here – though my favorite is the clotted cream and spicy chocolate. Butterbeer – And speaking of butterbeer, you can get it at the Hopping Pot, The Fountain of Fair Fortune, and the Leaky Cauldron. There are a couple of shows here, under a nice covered pavilion. A great place to get out of the rain as well. Our favorite is The Tales of Beedle The Bard. A beautiful marionette show with one of two stories from the book. You can also take in the warbling sounds of Celestina Warbeck as she puts on a lively concert. 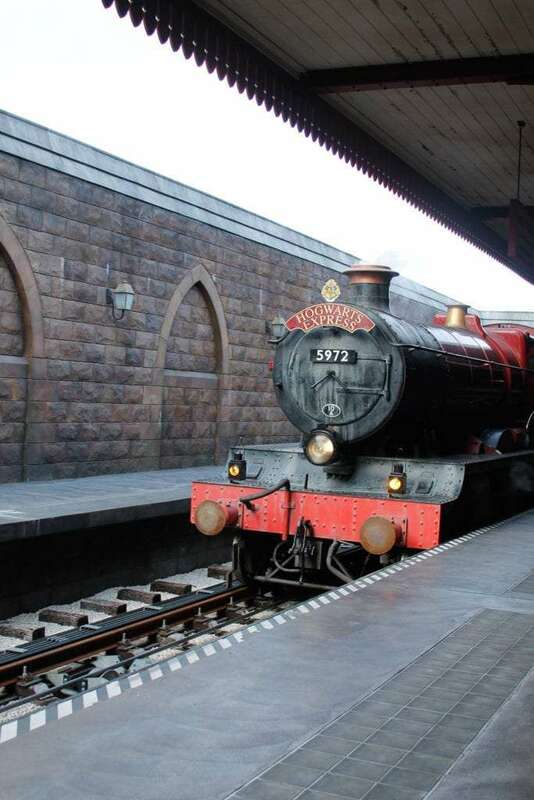 Outside of Diagon Alley, you can catch the wizard train on Platform 9 3/4 to Hogsmeade. Once on the train, you’re treated to visions of the English countryside, with a few surprises thrown in. I recommend heading this direction first as you’ll get to walk through the wall between platforms 9 & 10 (best do it at a bit of a run if you’re nervous). Be sure to ask one of the train conductors where the platform is for a bit of fun. Later return from Hogsmeade to Diagon Alley for a different experience and train ride. Again, you’ll need a park to park pass to experience both parts of the Wizarding World of Harry Potter. Upon exiting the train, you’ll enter the Wizard Village just outside of Hogwarts, Hogsmeade. Be sure to look up, as you’ll notice it’s always snow-capped here. Harry Potter and the Forbidden Journey – This is the ride that takes you through the Hogwarts Castle. Just like with Gringotts, go through the entire line before using a single rider option. It’s well worth the queue line as you get to see many rooms inside the castle. The ride itself may be intense, as you do come face to face with dragons and dementors. I get a little motion sick myself, but find if I sit at the end of the car, it’s better. Flight of the Hippogriff – Even if you’re a thrill seeker, take time out to do this mild roller coaster. 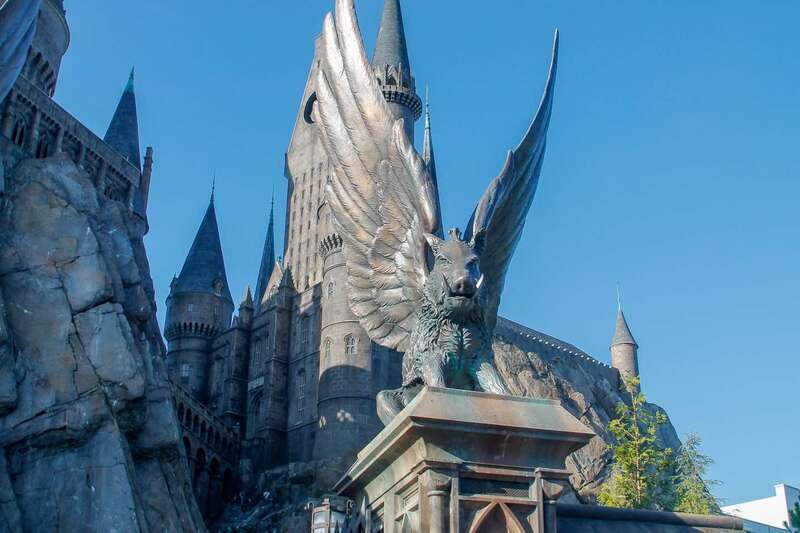 You’ll get a Hippogriff’s eye view of the castle, as well as Hagrid’s Hut. Windows – just like in Diagon Alley, the windows here have a lot of interactive elements. Even if you don’t have an interactive wand, stand near to watch what other wizards can magically create. The Bathroom – Perhaps the weirdest suggestion here, but only in Hogsmeade can you hear Moaning Myrtle in the girl’s bathroom. Owl Post – The owl post has a nice seating area just in the center of Hogsmeade. Be sure to look up to watch the owls move on their perches. Olivanders – A sister shop to the one above. You can wait in line here to see a wand choose a wizard as well. Honeydukes – The brightly colored sweet shop is everything you’d dream it would be and home to most of these sweets that you can’t get outside of the Wizarding World of Harry Potter. Three Broomsticks – Just as you’d expect, you can get a full English fare here at Three Broomsticks. The feast is enough to feed a whole family and one of the most popular items on the menu. Hogshead – Adjacent to Three Broomsticks is Hogshead Tavern. It’s a great place to stop for an adult beverage like Dragon Scale Beer or just one of the hidden secrets to getting Butterbeer. Frog Choir – Something wicked this way comes with a lovely demonstration of the Frog Choir, taking place at the center of Hogsmeade. Tri-Wizard Tournament – see witches and wizards from Beauxbatons and Durmstrang schools of magic demonstrate their acrobatic and staff wielding skills. Nighttime Lights – The castle comes alive with projection mapped images at night. It’s really a sight to behold as each house is displayed across the Hogwarts. At the holidays, the show is Christmas themed and simply magical. 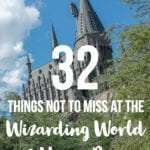 This is not, by any means, a comprehensive list of what you can find at the Wizarding World of Harry Potter in Universal Studios Orlando. Simply a must do if you’re a fan. Great tips! I love all the details. Wow, there is a lot to see and do. Thank you for the tips. I am excited to try the ice cream. It’s my favorite. We get it every. single. visit. I’ve been to the Wizarding World of Harry Potter a couple of times before. I’m sad to say that I actually missed a lot of these! Next time I go, I need to make sure to refer to this list! Thanks Ashley… there is so much to see and do I bet you still had a great time! We have traveled to that other big Orlando theme park numerous times, but I have never been to Universal. My kids are asking if we can split our stay next time between the two. 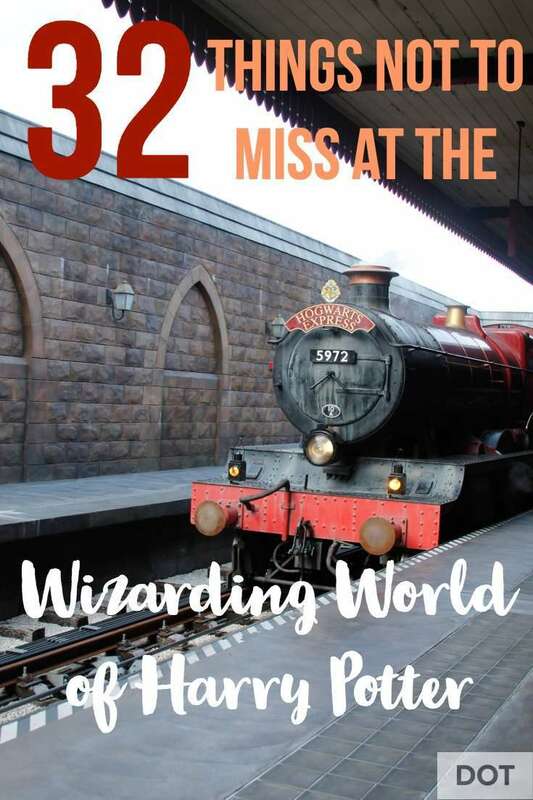 Wizarding World is on our must do list, so this is very helpful. Thanks for the tips! You bet! While I love the other parks, we are huge HP fans, so we love that part of Universal. We are taking the kids there next year. These tips are perfect to help us plan our visit! I hope you have so much fun!! How old? I actually really want to go to the harry potter world at universal. We have yet to get a chance, but I know my youngest would love it so much. I secretly would too. Thanks for sharing the not to miss. Of course. While my kids are HUGE fans, I think I love it more too! We totally missed Many of these! Thanks for the list! 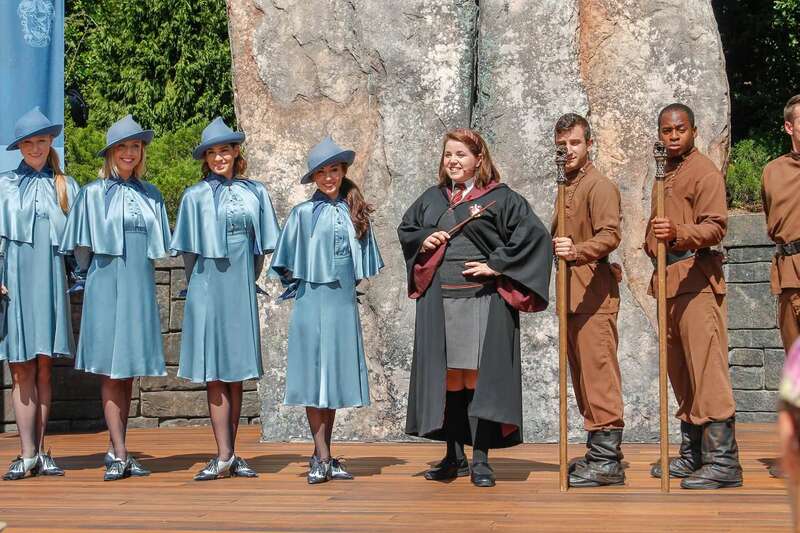 Looks like so much fun to be had at Wizarding World! Makes me wish my kids were younger. I think older kids love it more. I know I do! Ahhhhhhh, I wanna go so bad! Each of these sounds awesome, right down to the brick sounds! Looks like lots of fun. My kids aren’t into the Harry Potter stuff, but I think they’d still have a good time. We are Disney fanatics, but hubby has suggested we need to change it up a bit and head to Universal. It’s a different experience for sure, and we love Disney, but we enjoy Universal for it’s ease of getting around and the Harry Potter stuff! Love the details, we are just now entering the world of Harry Potter. I’m a huge Harry Potter fan. We have been there twice and still didn’t see everything. I can’t wait to go back and get another butterbeer from the three broomsticks. I love sharing this with my kids. I think he will too.